What is the most effective way to bring this precious luxury fiber to the discriminating consumer? And now, how do we "spread the love" to an even larger consumer base? Fiber artists are highly sensitive to and appreciative of the unprecedented natural colors and array of other luxurious qualities of Genopalette wool. 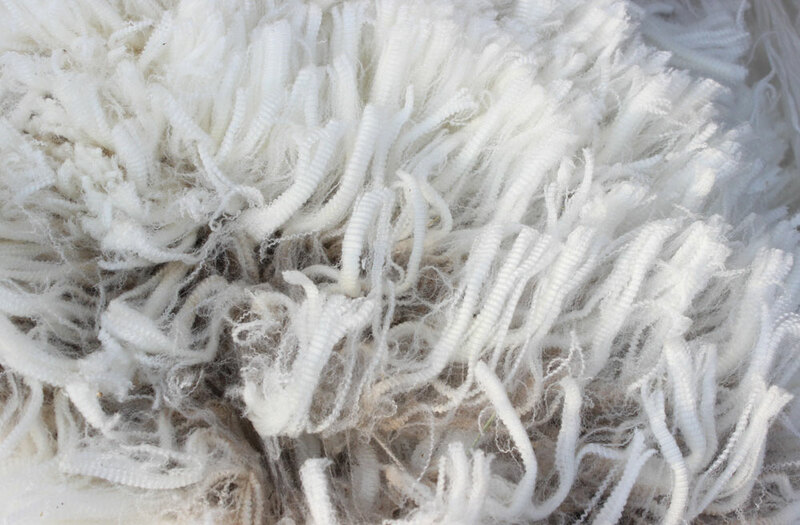 By selling to these artisans â€“ sometimes in large quantityâ€“and currently working with one textile manufacturer who has caught the colored Merino bug, we have learned so much to fortify in our minds the inherent value of what we offer. At Genopalette we have been dedicated to this endeavor for long enough to know that a community effort by like-minded industry players will be required to communicate and ultimately capture the value of our uniquely beautiful fibers by making them available to everyone via finished goods, despite a textile industry that discriminates against colored fiber as a contaminate. So much is involved in growing this rare fiber. What with tending sheep, caring for the land, and navigating a swiftly-shifting economic-agricultural landscape, a fringe grower of such a rare commodity has their work cut out for them. Developing a manufacturing / marketing business to bring our experience to the consumer definitely adds some elevation to our mountain. Genopalette wants to provide a healthy open format / environment for brainstorming and networking with producers, manufacturers, marketers and end users to have engagement regarding our mutual interests in bringing this rare and beautiful fiber to the wold. If you are any of the above and you have ideas or would like to share links showcasing your related interests / accomplishments â€“ please use the contact form we have provided to get in touch with us!